Rancher is an open-source platform for managing containers that provides a full set of infrastructure services for containers, including networking, storage services, host management and load balancing, work across any infrastructure, and make it simple to reliably deploy and manage applications. Best part of Rancher is Rancher2.0 which is totally kubernetes and there is no need to setup manual kubernetes otherwise the documentation of kubernetes is very bad to setup. Rancher provides lot of orchestration engine supports as well like Mesos, Cattle, Docker Swarm. Whenever the load increases, the performance degraded. Web sockets are not really reliable in Rancher UI due to which sometimes we are not able to open a shell on the Rancher UI for containers. Every Company which is handling lot of different teams and they want a isolated environment for every team . Lets say for every project as well. They should use rancher as it has various layers of Isolation starting from environment then Project then Kubernetes Namespaces. Other best thing, For running docker containers you don't have to go via Command Line. You can do everything via UI which is like User friendly. Various operations like ssh into Container, start container, read logs , etc..
"Container Orchestration Without the Headache"
Hard to pick one thing I like best because the beauty of Rancher lies in how well it ties together many different features to make up one of the most complete, usable container orchestration platforms available. In particular, the API is very intuitive for building custom tooling against, and the UI gives me a complete view of my infrastructure from the container level down to the hardware itself. After continued use, the web UI can become extremely slow to the point that I have to close my browser and re-open it in order to perform basic administration tasks. This has been a source of frustration, but my understanding is that newer versions of Rancher have addressed this (we currently run v1.2). The current major release of Rancher (2.0 at this time) is built exclusively on top of Kubernetes. If you are considering Rancher, I would recommend becoming familiar with Kubernetes administration as well. Rancher is our go-to control panel for simple, failsafe container deployments. We initially chose Rancher because it allowed us the flexibility to switch between many different container scheduling platforms (Mesos, Swarm, Kubernetes, and Cattle). As all of these solutions were very new, this flexibility gave us the confidence to move to a container-based infrastructure without the fear that we were investing in a container scheduling platform that might soon become obsolete. I do believe that v2+ of Rancher only integrates with Kubernetes, however I don't see this as a loss of flexibility as much as an indication that it has become a clear winner among the previously supported platforms. Since adopting Rancher, we've seen a significant reduction in downtime, since healthchecks and automatic rescheduling keep our systems healthy with very little manual intervention. What Container Management solution do you use? "Product Review - Container Management Platform"
Rancher is one of the best tool I used for Container management. The best part is Rancher 2.0 which is totally kubernetes. Ease of setup:- You don't have to manually follow the steps to install kubernetes Cluster. Just run the rancher server and it will setup the whole cluster for you which is nothing but kubernetes. Multiple Teams:- You can onboard multiple teams on this and can manage different clusters easily which can be (Kubernetes, Docker Swarm, Mesos) . I find websockets sometimes create a problem in Rancher UI and person is not able to execute shell on the UI. Sometimes not able to view the logs on the Rancher UI for different containers. Big companies should use this Container Management Platform if they are dealing with lot of different teams and they want a isolated infrastructure environment for them. We are trying to create a single platform for the multiple teams to manage the containers and can do the orchestration in a manner so that we can achieve High Availability, Canary Release, Service Discovery , Auto Scaling kind of features to our applications. Rancher supports a number of systems that other containerization software does not. Nodes are set out in an easy to read way, and the other views provide a lot of information. Creating containers was much simpler than the other software products I've used, with plenty of useful features, like 'Health check'. Installation and set-up was time and people consuming. The sheer amount of features on offer may be off putting to new users. More network information would have been good, such as CPU and RAM specs. Very feature rich, so set some time out to train users on how to use the system correctly. It's also time consuming to instal / set up for the first time. Other than that Rancher will do everything you need it to! We use Rancher for our main containers and clusters, as it provides much more functionality in comparison with the other products available. Since Rancher is open source, the product is totally free, saving the University money! Rancher 2.x is the one of best tools which gives you a lot of out of box solutions with kubernetes. Rancher 2.x introduced pipelines as well which can be integrated as CI system and then CD on Rancher only. Another good thing, with rancher you get lot of different options when setting up a cluster like various options for clouds(AWS,Bare Metal, Digital Ocean, Custom, Azure) means where exactly you nodes are lying. With Rancher it's very easy to setup a multi clusters for different teams in a bigger organisation and you will be able to control form a single place. They handle container networking very well and lot of network drivers are available. Rancher 2.x still not able to pull images from private docker registeres and have to pull it before we upgrade a rancher or install it. May be I am doing wrong but have to use a shell script which is pulling the images. Another thing, performance gets affected at a higher load due to lot of hung threads of websockets. It's an open source product where you can have multiple clusters at one place and that too each cluster in an isolation without interfering each other. We are trying to have a platform where we can configure multiple kubernetes clusters and easy to manage from a single place. And even to have a cluster in which nodes are lying on the different clouds as well. "Rancher brings all your docker containers and hosts into one manageable place!" Rancher seems to be one of many few products which can bring docker hosts into one manageable interface and provides the ability to deploy stack's as opposed to just individual containers. You can provide dockers at service level and not worry so much about the infrastructure behind them and is more of a service offering. Its very easy to setup. The best bit I love is all you need to do is execute one command on any hosts you want to bring into rancher and docker automatically downloads and runs an 'Agent' image and automatically connects to your rancher host. From here you can even go out through firewalls as its client to server connection. A brilliant way of implementing such tool! There isn't a great deal to dislike but over anything it would be that i've not found a way to move a container from one host to another - now that would be cool! Even better if it were drag and drop :) but otherwise its brilliant. Rancher has provided a brilliant ability to implement multiple hosts and manage them all within one infrastructure. Even Rancher can run inside one of the hosts its managing! In my opinion this has to be the leading tool for docker users. "A great tool for getting into docker orchestration"
How easy Rancher was to get up and running. At the time we started using Rancher it had just reached 1.0 GA, and comparatively all of the other tools available like Docker Swarm seemed unnecessarily complex and more trouble than they were worth to use. Rancher was easy to get setup, reliable, and made container orchestration a breeze. There isn't much to dislike about Rancher. The high-availability feature could use some work. According tot the official docs as of version 1.5.x, there is still the following caveat when upgrading an HA Rancher server: "NOTE: When upgrading an HA setup, the Rancher server setup will be down during the upgrade." It seems like some work could be done to make the HA environment truly HA during the upgrade process. Compared to other orchestration tools like, Kubernetes, it lacks some of the auto-scaling capabilities. Rancher helped us increase our deployment time for new application versions. This has helped us innovate faster and deliver new features and/or bug fixes at a much quicker rate while utilizing the benefits on containers. The Rancher interface is what sets it apart. Managing hosts, containers, and services is fairly intuitive. There are still a few bugs here and there. Networking between the Rancher master and hosts sometimes becomes disconnected for no explicable reason. Re-registering the host is usually required. Rancher could also be a little more smart about balancing containers. You may want to wait until Rancher 2.0 when first class support for Kubernetes is added. 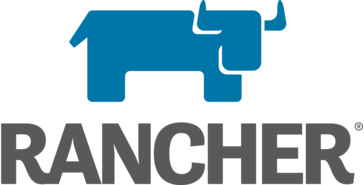 Rancher allows us to deploy and manage our applications in docker containers. "Great UI - Expanding "
Simple, clean UI that delivers relevant information. Easy to set up and manage, even manages multiple locations cleanly. Health checks, failovers, and alerting still have some room for growth. Can bake some precautions into the containers, but meta information isn't readily/easily accessible. 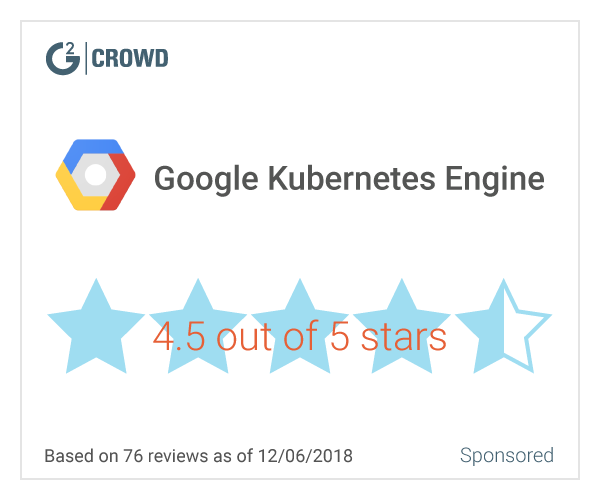 As Rancher continues to move to a kubernetes backbone - this product should continue to improve. "Best Container management platform "
We had to implement Kubernetes and Rancher was the perfect Software for our use case. * We monitor all Rancher reviews to prevent fraudulent reviews and keep review quality high. We do not post reviews by company employees or direct competitors. Validated reviews require the user to submit a screenshot of the product containing their user ID, in order to verify a user is an actual user of the product. Hi there! Are you looking to implement a solution like Rancher?